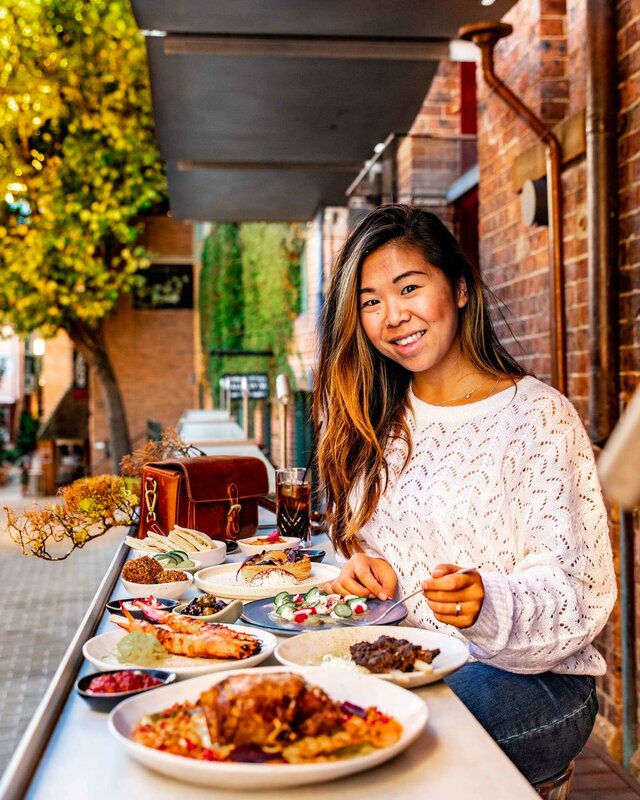 Barangaroo is my favourite destination for food, because they have a little by of everything: Japanese burgers, Southern-styled fried chicken, Malaysian, and an entire canteen full of tasty morsels from around the world! Today, it is their donuts that are absolutely driving me wild. So I am back AGAIN for Short Stop donuts; they've got new flavours, including my all-time favourite... Ooooh so exciting!! As evident by the name, this was more cake-y than donut but it was absolutely delicious. The cake was soft, light, and fluffy, and I also really love the use of the colours of greens, oranges, and yellows... it made this treat even more inviting!! Nom!! Break me off a piece of that!! Behold! The donut that started it all. This is the Peanut Butter Chocolate and Caramel donut. It looks sweet and innocent on the outside but it's naughty and luscious on the inside. The Short Stop kitchen are always at the forefront of new and innovative donut flavours. Their new flavour is Coconut, Yuzu and Kaya is a raised donut covered with sweet and tangy Coconut and Yuzu icing, and filled with a rich and creamy Coconut jam (Kaya). I think the face says it all! The best things come in threes! Chef D knows that Camera eats first! !